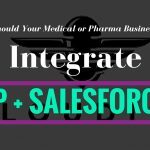 Many medical and pharma businesses, also referred to, in the Salesforce vernacular, as life sciences, are very similar in that they require an ERP platform in the background to manage the core of their product development and delivery business. Medical and pharma companies generally have many products, particularly if they’re a Medical device, supply business or if they’re a Durable Medical Equipment supplier or a wholesaler. For all of these reasons medical and pharma businesses generally need to implement or have an an Enterprise Resource Planning (ERP) platform like SAP. The benefits of SAP as a platform. It is a specific ERP platform, so it is built so that it can primarily deal with product inputs, final goods, warehouse management, and then all the financial aspects of orders and invoices. SAP is typically also the primary source of customer records since all active customers who are making a purchase have to be in SAP (or another ERP) for you to invoice the customer and get paid, ship goods out to. Again, all this discussion does apply to other ERPs, so SAP may be synonymous with something like Oracle of maybe NetSuite. The development cycles tend to be long and expensive. While SAP does offer a Customer Relationship Management platform, it really is a terrible CRM. It’s a very difficult tool for Salespeople to use, not easy to customize. 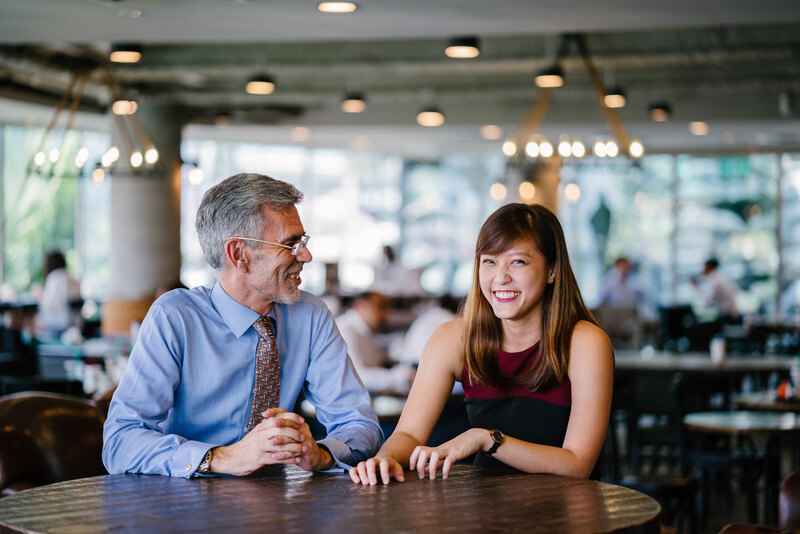 SAP: Not a platform that you’re going to want to use for Case Management. If you have any sort of customer support, SAP is definitely not good for that. Although, customer support will need visibility into financials and orders and maybe even inventory, which would be SAP for sure, it is not built to be a Customer Service line of business application. For other components of case management, it’s not going to be useful. For example, opening and closing trouble tickets, customizing that to the business’ workflows, workflow rules and assignments, knowledge base of typical answers, integration to a telephony system, you’re not going to use SAP for any of that. Those are key features of a modern customer support platform which SAP and no other ERP are going to be able to properly deliver. It’s also not a marketing platform. There are e-commerce options on SAP, but those are also not ideal. The best thing about SAP is that it as an an ERP and should perform the functions of an ERP. There are many organizations shockingly in the Pharma and Medical Device & Supply business however who get confused and will try to provide SAP as the primary software tool for Sales, customer support and even marketing. For mobile and remote workers there are older ways to get into your instance of SAP from outside of the company firewall. A Smartphone is not one of them. Generally companies with SAP need to use VPN or remote access somftware like Citrix to provide access to SAP. These are all really old, slow ways to get access to data and to perform transactions or account-based activity that might be in SAP. This same discussion applies to most ERPs that are out there. These are things that ERPs just are not built for. What about the Salesforce platform? Salesforce has really defined itself as the Customer Success, or a Customer Experience, platform. It’s primarily originally built as a software as a service CRM, and still is. So a major benefit is that there really is no IT footprint, it is focused upon being a line of business application for the sales organization, delivering customer relation management. It’s really the brain of your interaction with customers. Any customer-facing activity you have should be in Salesforce and that’s what it’s built for. The Salesforce Sales Cloud is for basically opportunity and account management. Service Cloud is where you would manage typically cases and you would build up a Knowledge base of questions and answers used by internal customer support resources, but can also be pushed out through the Salesforce Communities platform (which is another discussion entirely) as a accessible customer knowledge base. For marketing Pardot is an effective marketing automation application — also on the Salesforce platform. These are all best of breed software as a service line of business applications for the customer-facing roles of sales, service, and marketing. That’s what the Salesforce platform is designed for. Another big benefit of the Salesforce platform is they do have public-facing APIs and they have Lightning Connect, which is a new semi pre-built way to connect into common data bases, such as Oracle or SAP. You see where this discussion’s going. Salesforce 1, does not offer the greatest mobile experience in the world, but it is mobile ready and much better than anything you’re going to have on a platform like SAP. Particularly, when you need to have remote or mobile employees, they’re going to want access on a smartphone or on a tablet. Why would you want to connect SAP and Salesforce together for your Life Sciences business? So we have established the differences between ERP and CRM. Between Salesforce and SAP. Each performs a fnctions but there is a point of intersection that makes sense. The source of order and customer record we already established is typically in SAP, so that’s where your inventory, your transactions, your financial data, is going to be worked on, It’s also typically the primary customer record. 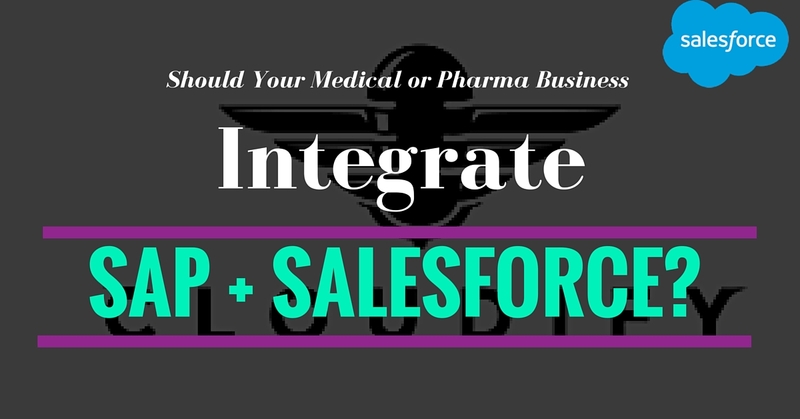 However for most Pharma and Medical Device, Supply businesses, having access to inventory, product and customer transaction data inside of Salesforce makes a world of sense. For Sales having access to this information is critical to map Opportunities to Results. It is a key component of understanding the volume of current business, trends and future business. For Customer Service or support to properly help customers, they will also benefit from the Case Management and Knowledge features of a Salesforce platform but will also need visibility into orders, inventory and financial status. Marketing can also use the Salesforce platform if you adopt something like Pardot where you have the ability to properly leverage SAP data, which is really our goal. We want to get the SAP data on transactions and orders, the history into Salesforce while letting SAP do its job of ERP on finance, orders, and inputs, and all the other transaction data and let Marketing target offerings based upon product interest, customer status and financial standing or sales volume. Future development on Salesforce, when you take this approach of integrating the two, is going to be much cheaper and much faster — so you kind of leap over the issues you would have with an extending other line of business applications in SAP, which would be much more expensive and slower. This includes customer and partner community options, so Salesforce has pre-built customer and partner community options where that you can roll out a customer-based opportunity or a customer-based portal using the Salesforce community platform, extending features of sales, service, marketing, and even SAP data on transactions. Same thing for partners. If you’re in a channel model and you have resellers or you have distributors, you can build out a partner portal using the partner community platform. What are the Customer benefits of integrating your SAP to Salesforce? 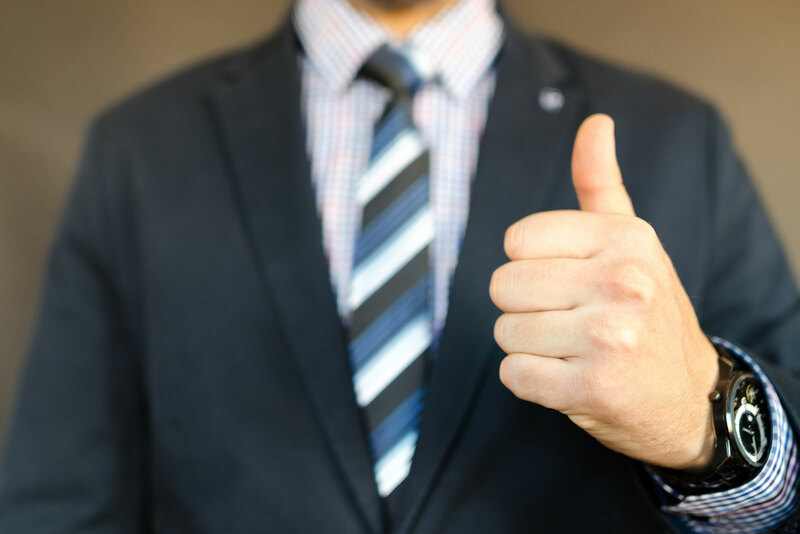 Number one, you’re going to give sales reps and customer service reps and marketing folks visibility to orders, product history, account ratings, all this information that would normally be locked up in SAP. You’re going to allow better product configuration option in quotes. If you’re in the business where your sales needs to be preparing quotes based upon the products, by utilizing Salesforce instead of SAP for quotes, you’re going to dramatically reduce the time to quote and the time to cash where you’re getting your managing opportunities from configuration quote-to-cash. There’s lots of options there, including SteelBrick, which we’ll talk about in another episode. If you do want to be effective in marketing it will be important to tailor the message to the audience. In this case integrating SAP data into Salesforce provides insight into customer behaviour allowing marketers to be more relevant providing more targeted messaging to customers. This allows marketers to build a more accurate and complete profile profile of a customer, rate them and rank them, give them a grade based upon data you’re pulling from SAP into Salesforce, and then your marketing department’s going to be able to use Pardot to build campaigns targeted at the product preferences and the interests of the different segments of your customer base. Very, very difficult to do if you leave all that data in SAP, so huge benefit by integrating the two. If you’re providing any sort of customer support, telephone-based support is the most expensive form of support you can provide today. What you want to do is you want to push out as much self-service support as you can. You’re going to want to extend knowledge bases. Chat-based support is going to probably be 20% the cost of phone-based support, maybe less, because basically customer support reps can handle more customer inquiries by chat than they can by telephone. Email to case, web to case, and even mobile to case support. Lots of options there by integrating the two, putting the financial data into Salesforce, and then using Salesforce for what it’s good, as being a customer-facing tool. Knowledge we already mentioned as a feature of Service Cloud so this is something you’re not going to have if you use SAP as your primary support tool to support your customer support group. Communities. Again, this is a way to securely push out data to partners or to customers or even employees. That could include knowledge, but it could also include community based features. It could also include Salesforce based data, like account-based information, but also the SAP data on transaction. Now you got a secure platform by integrating the two and using them for what they’re good at. In the end SAP investment is usually really high and after the initial setup and configuration it’s not an easily customized platform. It’s not meant for customer-facing and customer experience roles. You can, however, using a number of methods, extend the data that’s in SAP that’s critical to those employees that are in sales, service, and marketing. Salesforce is ideal, we’ve established, for other lines of business that are customer-facing, unlike SAP, which is really strong obviously at warehouse management, product inputs, and final product outputs, basically ERP tasks, all the financial and ordering tasks that you would normally do in an ERP. What we say is leave each to do their job and for medical and pharma companies with similar characteristics, you can derive huge benefits from the data connectivity between the two systems.